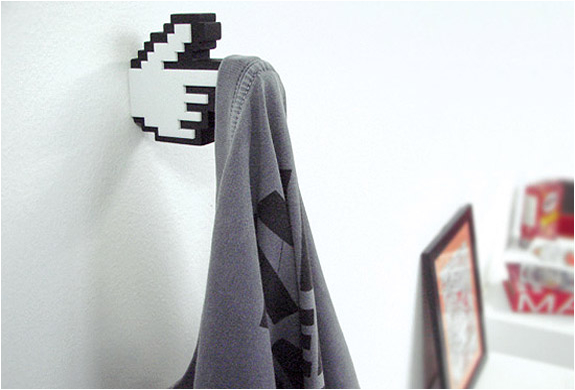 How cool and geeky is this? 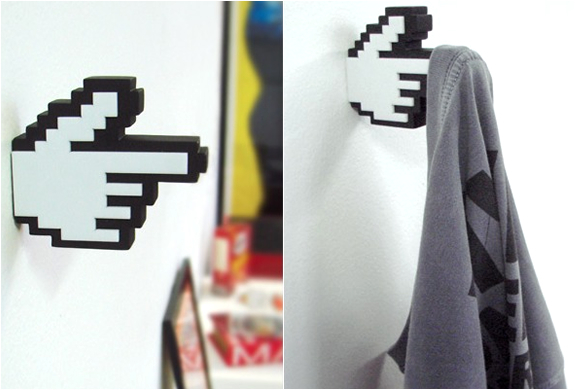 The 8-bit coat hanger that looks like the a little hand cursor to mount on your geek home walls to hang on your everyday stuff right from coats to bathroom towels. 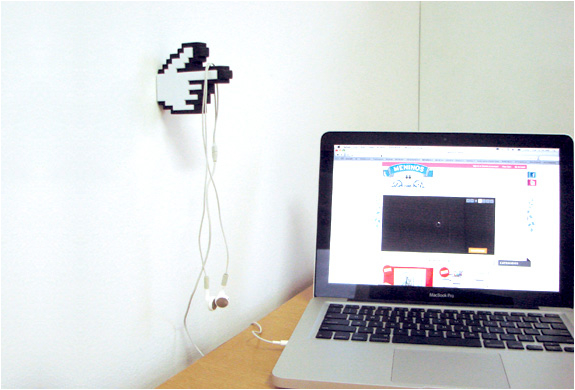 It is made from sturdy MDF and acrylic.